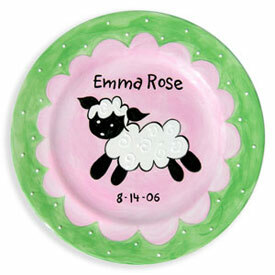 24" x 12" x 17"
He is the perfect first friend for a little baby boy or baby girl. 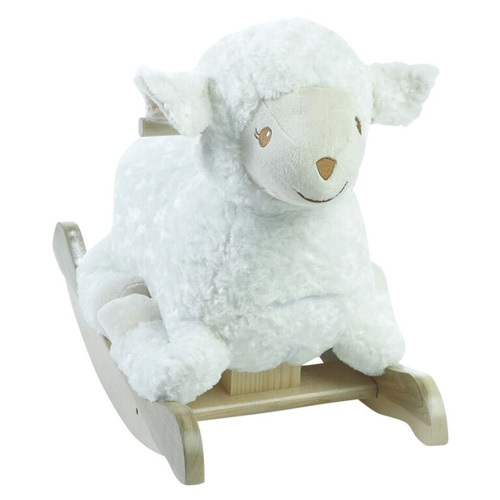 Watch your toddler giggle and rock as Lambkin plays four different learning songs, activated by pushing the buttons located on the back of the head. These great original songs teach ABC’s, 123's, colors and more. 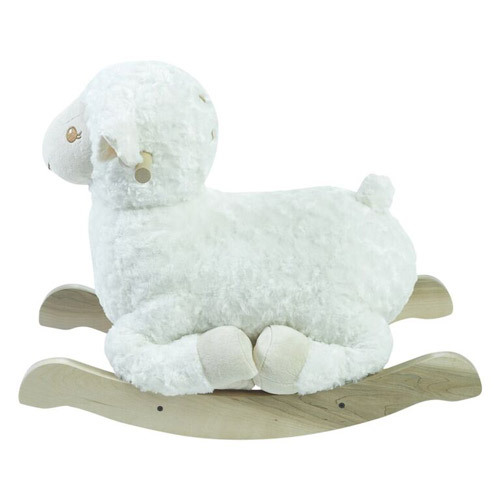 The padded seat and sturdy wooden base will make Lambkin a family favorite.